Both agricultural application airplanes were returning to their respective home bases after completing application operations when they collided in-flight at an altitude less than 500 ft agl. Following the collision, one of the airplanes (N502WC) descended to ground contact, fatally injuring the pilot. The pilot of the second airplane (N5044N) performed a forced landing to a field. That pilot reported that he did not see the other airplane until immediately before the collision. Examination of the engine and flight control systems of both airplanes revealed no mechanical anomalies that would have precluded normal operation including the ability to maneuver the airplanes away from each other. The deceased pilot had at least therapeutic levels of two impairing medications, cyclobenzaprine and hydrocodone, at the time of the accident. In addition, he had low levels of two sedating antihistamines, chlorpheniramine and diphenhydramine. These four drugs, in combination, would likely have slowed his psychomotor functioning and decreased his attentiveness to the flight environment. Therefore, it is likely that the fatally injured pilot's use of a combination cyclobenzaprine, hydrocodone, and two sedating antihistamines, contributed to his inability to successfully see and avoid the other airplane. Based upon the sun's position and the statement from the second pilot, the sun was likely in the eyes of the deceased pilot. There was no evidence of the deceased pilot performing any evasive maneuver prior to the collision, which suggests that he never visually acquired the other airplane prior to the collision. The failure of both pilots to maintain an adequate visual lookout, which resulted in a midair collision. Also causal was the pilot's use of two sedating antihistamines and two impairing medication and the effect of sun glare on his visual lookout, which likely led to his inability to successfully see and avoid the other airplane. Javone was born in Roseville, California on November 19, 1990. Carried by angels, he crossed over and left his life here on July 23, 2016, in a plane crash. 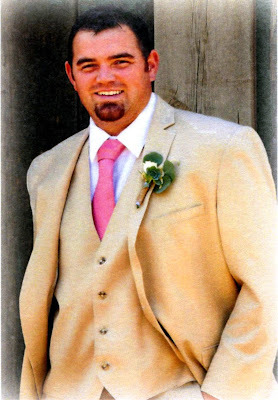 He graduated from East Nicolaus High School in 2009. He then went on to Ag - Flight, Inc, a professional AG pilot training School in Georgia to become a Crop Duster. After finishing his flight school, he went on to Wyoming and Utah to work. After a year or so, he returned, and was given his first flight job in CA., at Avag, INC. Javone then went to work for Farm Air, Inc. and has worked there since 2013. Javone loved his life, his family and his flying! Blue Skies and Tailwinds until we meet again. On July 23, 2016, about 0745 Pacific daylight time (PDT), two Air Tractor AT-502Bs, N502WC, and N5044N, collided in-flight near Zamora, California. The commercial pilot of N502WC was fatally injured; the airplane sustained substantial damage. The commercial pilot of N5044N received minor injuries; the airplane sustained substantial damage. N502WC was operated by Farm Air Flying Services, and N5044N was operated by Growers Air Service. Both flights were operated under the provisions of Title 14 Code of Federal Regulations Part 137 as aerial application flights. Visual meteorological conditions prevailed, and company flight plans had been filed for both flights. The pilot of N502WC had finished spraying mosquito repellant and was traveling eastbound en route to Farm Air Flying Services. The pilot of N5044N had finished spraying a rice field and was traveling southbound en route to Growers Air Service. During a postaccident interview, the pilot of N5044N reported that he could not recall his altitude but stated that it would normally have been at least 500 ft above ground level (agl). He added that he observed N502WC on his right side traveling toward him when he maneuvered his airplane and ascended; however, N502WC contacted the undercarriage of his airplane and subsequently collided with terrain. The pilot of N5044N was unable to maintain altitude and subsequently performed a forced landing to an open field. According to the pilot of N5044N, the pilot of N502WC would have been traveling toward the sun and likely did not see him before the collision. The pilot, age 25, held a commercial pilot certificate with a rating for airplane single engine land. He also held a mechanic certificate with airframe and powerplant ratings. His most recent second-class Federal Aviation Administration (FAA) medical certificate was issued on March 30, 2016, with no limitations. On the application for that certificate, the pilot reported 2,250 total hours of flight experience, with 450 hours in the previous 6 months. Acccording to the pilot's logbook, the most recent flight review was performed on February 16, 2016. He received a logbook endorsement under Title 14 CFR Part 61.56 – Flight Review. The pilot, age 64, held a commercial pilot certificate with ratings for airplane single-engine land and instrument airplane. His most recent FAA second-class medical certificate was issued on October 1, 2015, with the limitation for wear corrective lenses. The pilot had been flying for Growers Air Services for the past 27 years. His flight experience was not determined. Both airplanes were painted yellow with blue trim. The airplane, serial number 502B-2830, was manufactured in 2012; and equipped with a 750-shaft horsepower Pratt & Whitney Canada PT6A-34AG engine, serial number PCE-PH0774. The most recent annual inspection was completed on May 1, 2016, at an airframe total time of 967.5 hours. The airplane, serial number 502B-0452, was manufactured in 1997, and equipped with a 750-shaft horsepower Pratt & Whitney Canada PT6A-34AG engine, serial number PCE-PH0416. The airplane Hobbs hour meter indicated a time of 1533.8 hours' time-in-service. The airplane logbooks were not made available for review. According to the sun position chart sunrise was at 0600. The sun's azimuth at 0745 was 64°, at an elevation of 18° above the horizon. The National Transportation Safety Board Investigator-in-charge (NTSB IIC), an FAA inspector, and a representative from Air Tractor, Inc., responded to both accident sites. The accident sites were separated by about 2/3 mile. N502WC came to rest partially intact in an organic rice field on a magnetic heading of 280°. The vertical stabilizer and rudder separated from the empennage and were not located. The propeller hub, with propeller blades attached, had separated and was located near the main wreckage. The top portion of the nose and cockpit canopy had separated from the airplane. The main landing gear remained attached to the airplane's undercarriage. The airplane was equipped with an AmSafe inflatable restraint (airbag) system. The airbags were found deployed in the fuselage wreckage. N5044N landed in a plowed open field in an upright position. The airplane remained intact except for the landing gear and spray equipment, which had separated from the airplane. Both wings remained attached to the fuselage. The left wing sustained damage the length of the wing, and the aileron was damaged. The wing tip had blue paint transfer on the underneath portion of the wing. The airplane came to rest on a 100° magnetic heading. Flight control continuity was established from the cockpit to all flight controls surfaces. The airplane was equipped with an AmSafe inflatable restraint (airbag) system that had not deployed during the collision or subsequent forced landing. Neither airplane exhibited any mechanical malfunctions or anomalies that would have precluded normal operation. The County of Sacramento, Department of Coroner, Sacramento, California, performed a postmortem examination of the pilot of N502WC. The cause of death was reported as multiple injuries. The FAA's Bioaeronautical Sciences Research Laboratory, Oklahoma City, Oklahoma, performed forensic toxicology testing on specimens of the pilot of N502WC. Carbon monoxide and cyanide testing were not performed; volatiles testing reported no ethanol detected in urine. Tested-for-drugs yielded positive results. According to the NTSB medical officer, the pilot had reported no chronic medical conditions and no medication use to the FAA. The FAA issued the pilot a second-class medical certificate without limitations. The County of Sacramento, Department of the Corner, recovered three loose white oblong tablets, two of which were broken in half; the tablets were located in the pilot's pants pocket. The tablets had the imprint "M367" on them, which is consistent with acetaminophen and hydrocodone 325 mg/10mg. Postaccident toxicology testing identified hydrocodone at 46 ng/ml (0.046 ug/ml) and its metabolite dihydrocodeine at 10 ng/ml (0.010 ug/ml) in femoral blood. In addition, there were two sedating antihistamines, chlorpheniramine and diphenhydramine, found in subclavian and heart blood respectively. The levels presented for each were below the calibration curve of the instruments and below the lower end of the therapeutic ranges. Chlorpheniramine was also confirmed in the liver and diphenhydramine was confirmed in urine. Sertraline and its metabolite Demethylsertraline were found in liver and lung tissue. Tramadol and its metabolite O-desmethyltramadol were found in urine but not in blood. Hydrocodone was detected in heart blood but could not be quantified due to technical difficulties. Its active metabolite, dihydrocodeine, was quantified at 0.016 ug/ml in heart blood. Both the hydrocodone and the dihydrocodeine, and another metabolite, hydromorphone, were identified in urine. An opioid unrelated to the others, morphine, was also found in urine, but not in blood. Chlorpheniramine and diphenhydramine, two sedating antihistamines are available as over-the-counter allergy product and sleep aid respectively. Chlorpheniramine has the following warning, "when using this product, drowsiness may occur, avoid alcoholic beverages; alcohol, sedatives, and tranquilizers may increase drowsiness; use caution when driving a motor vehicle or operating machinery." According to the NTSB medical officer, Diphenhydramine is classified as a CNS depressant, and this is the rationale for its use as a sleep aid. Possible side-effects could potentially be altered mood and impaired cognitive and psychomotor performance. In a driving simulator study, a single dose of diphenhydramine impaired driving ability more than a blood alcohol concentration of 0.100°. Cyclobenzaprine is a prescription medication used to treat muscle spasm. It is considered potentially impairing and carries this warning, "Cyclobenzaprine HC1 may enhance the effects of alcohol, barbiturates, and other central nervous system depressants." Cyclobenzaprine does undergo a significant post mortem redistribution, it moves back into blood from storage sites after death, as a result, levels identified in heart blood during postmortem may be many times higher than ante mortem levels. Sertraline is a prescription antidepressant also marketed under the name Zoloft. While not considered directly impairing, depression is associated with significant cognitive degradation. The FAA requires pilots being treated for depression to undergo additional evaluation beyond the usual medical certification. The autopsy also revealed the use of several opioids; Tramadol, hydrocodone, and morphine. Tramadol is available through a prescription as a Schedule IV controlled substance. The coroner's laboratory identified hydrocodone and its active metabolite dihydrocodeine in femoral blood. Hydrocodone is a Schedule II controlled substance and is available by prescription. This drug is considered to have a high potential for abuse and users are warned, that "profound sedation, respiratory depression, coma, and death may result from concomitant use of hydrocodone bitartrate and acetaminophen tablets with benzodiazepines or other CNS depressants. The therapeutic range for hydrocodone is considered between 0.0100 and 0.0500 ug/ml. the specimen used by the coroner was from femoral blood, the level 0.046 ug/ml best represents the pilot's ante mortem drug level. Dihydrocodeine is an active metabolite of hydrocodone. According to the NTSB medical officer, the morphine found in the pilot's urine but not in blood may represent previous use of morphine, codeine, or heroin. Drugs found only in urine, but not in other body tissue are generally considered to no longer have any direct psychoactive effects. The pilot of N5044N, received minor injuries and was transported to the hospital. He reported the use of simvastatin to lower cholesterol on his most recent FAA medical certificate application. No postaccident toxicology testing was performed on the surviving pilot. Two onboard devices used to control agricultural spray operations based on vendor-and user-prescribed maps were shipped to the NTSB Vehicle Recorder Division: A Hemisphere Satloc G-4 that was installed on N502WC, and a Satloc M3 CPU that was installed on N5044N. The Satloc M3 CPU Data Recovery sustained minor damage, but data retrieved from the compact flash card contained only ground operations from 0531 and 0532 (time zone not verified) on the day of the accident. According to the manufacturer, the Satloc M3 was an older generation unit that only copied data from volatile memory to non-volatile memory when a new log was started. Data recovered from N502WC (the airplane with the Satloc G-4 installed was overlaid on a Google Earth image). Data ended as the airplane was traveling eastbound about 143 mph. The overlay showed that N502WC flew two racetrack-type patterns over fields. Following the second pattern, the accident airplane headed east at 284.3 ft agl traveling 145.19 mph at 0739:17. About 13 seconds later, the accident airplane was traveling 145.22 mph at an altitude of 337.7 ft. agl. The last recorded log was at 0739:459 at an altitude of 433.9 ft agl, and airspeed of 143.16 mph. The National Agricultural Aviation Association (NAAA) emails weekly a fly safe newsletter and publishes a Professional Operating Guidelines manual. Chapter 4 safety, section 4.3 Subsection C, titled Safe Piloting Techniques; recommends that the pilot ferry the airplane to and from application sites above 500 ft agl and remain clear of congested areas, and to see and avoid other aircraft and obstructions. The deceased pilot had at least therapeutic levels of two impairing medications, cyclobenzaprine and hydrocodone, at the time of the accident. In addition, he had low-levels of two sedating antihistamines, chlorpheniramine and diphenhydramine. These four drugs, in combination, would likely have slowed his psychomotor functioning and decreased his attentiveness to the flight environment. Therefore, it is likely that the fatally injured pilot's use of a combination cyclobenzaprine, hydrocodone, and two sedating antihistamines, contributed to his inability to successfully see and avoid the other airplane. The failure of both pilots to maintain an adequate visual lookout, which resulted in a midair collision. Also causal was the other pilot's use of two sedating antihistamines and two impairing medication and the effect of sun glare on his visual lookout, which likely led to his inability to successfully see and avoid the other airplane. According to the pilot's logbook, the most recent flight review was performed on February 16, 2016. He received a logbook endorsement under Title 14 CFR Part 61.56 – Flight Review. Chlorpheniramine and diphenhydramine, two sedating antihistamines are available as over-the-counter allergy product and sleep aid respectively. Chlorpheniramine has the following warning, "when using this product, drowsiness may occur, avoid alcoholic beverages; alcohol, sedatives, and tranquilizers may increase drowsiness; use caution when driving a motor vehicle or operating machinery." According to the NTSB medical officer, Diphenhydramine is classified as a CNS depressant, and this is the rationale for its use as a sleep aid. Possible side-effects could potentially be altered mood and impaired cognitive and psychomotor performance. In a driving simulator study, a single dose of diphenhydramine impaired driving ability more than a blood alcohol concentration of 0.100%. 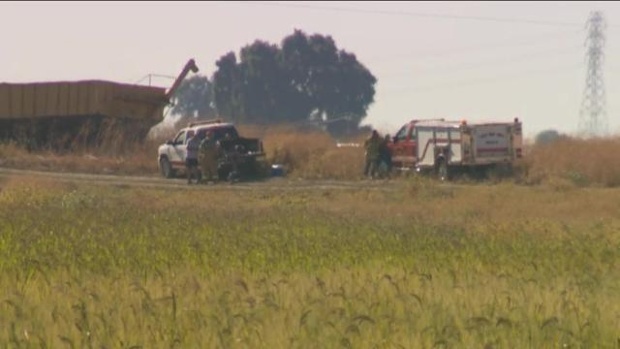 On July 23, 2016, about 0745 Pacific daylight time, an Air Tractor AT-502B, N502WC, and an Air Tractor AT-502B, N5044N, collided in-flight near Zamora, California. N502WC was operated by Farm Air under the provisions of 14 Code of Federal Regulations Part 137 as an aerial application flight. The commercial pilot, the sole occupant, was fatally injured and the airplane was destroyed. N5044N was operated by Growers Air Service, and was operated as an aerial application flight under the provisions of 14 Code of Federal Regulations Part 137. The commercial pilot, the sole occupant, received minor injuries and the airplane sustained substantial damage. Visual meteorological conditions prevailed and company flight plans had been filed for both flights. The pilot of N502WC had finished spraying mosquito repellant, and was traveling eastbound en route to Farm Air's base. The pilot of N5044N had finished spraying a rice field, and was traveling southbound en route to Growers Air Service. The pilot of N5044N was interviewed by the National Transportation Safety Board Investigator-in-Charge (IIC). The pilot reported that he could not recall his altitude, and opined it would normally have been at least 500 feet agl. He stated that he observed N502WC on his right side traveling toward him when he maneuvered the airplane and ascended. However, N502WC made contact with the undercarriage of his airplane. N502WC subsequently collided with terrain. The pilot of N5044N stated that he was losing altitude and landed off airport in an open field. The NTSB IIC, a Federal Aviation Administration (FAA) inspector, and a representative from Air Tractor, Inc., responded to the accident sites. The accident sites were about a half mile from each other. N502WC came to rest mostly intact in an organic rice field on a magnetic heading of 280 degrees. The vertical stabilizer and rudder separated from the empennage and has yet to be located. The propeller hub with propeller blades had separated and was located near the main wreckage. The top portion of the nose and the canopy for the cockpit had separated from the airplane. One of the main landing gear for N502WC remained attached to the airplane's undercarriage at its relative normal location. N5044N landed in a plowed open field in an upright position. The airplane remained intact with the exception of the landing gear and spray equipment, which had separated from the airplane. The airplane came to rest on a 100-degree magnetic heading. Flight control continuity was established. Both airplanes were recovered for further examination.